Best Underground Lawn Sprinkling And Drip Irrigation Company In Grand Rapids! Experience is the difference. 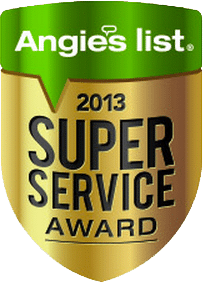 The Winchel Irrigation Service department is staffed with the best technicians in Grand Rapids. Each service technician has been servicing irrigation systems for 15 to 30 years – there isn’t much they haven’t seen or repaired. Our experience enables us to offer services that other companies cannot, like working on older Toro hydraulic systems and controllers. 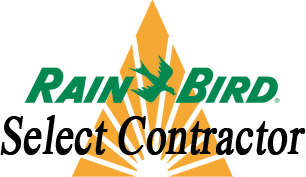 We design and install efficient lawn sprinkler and drip irrigation systems for residential customers, designed to meet the property’s needs with products that save the homeowner money by saving water. Winchel Irrigation’s Sprinkling Service Department includes spring start-ups, fall winterizing, mid-season checkups, trouble shooting, general repairs and renovation of existing irrigation systems. Save water with ECO-SPRINKLING. Call Winchel Irrigation today! Winchel Irrigation takes a lead role in West Michigan in conserving the water used in lawn sprinkling and drip irrigation systems, by designing and installing ECO-SPRINKLING systems with products that reduce water usage and waste – water only where you need it, when you need it! I was very pleased with the irrigation installation your crew completed for us last week 6/12 and 6/13. The team was very efficient in completing the work in a timely manner. thanks again for the quality product and stellar installation crew! Do to the toxicity of traditional insect control methods, we had never treated for mosquitoes before. With Eco Insect Control, we’ve been able to enjoy outside with our dog in comfort and are feeling great about our impact on the environment. Superb Service! Winchel installed our irrigation system several years ago and continue to maintain the system. Professional, Friendly. Top to bottom Winchel Irrigation is first class! With many years of experience there is no need to look further they are the real deal. We had a great experience with Winchel Irrigation. They were prompt on arrival and very professional. They were knowledgeable and answered any questions we had. Winchel Irrigation did a great job! We had at least 3 other companies work on our sprinkler system and they could not get it fixed Winchel did! It was such a relief to find an Eco product that worked to keep my yard enjoyable and mosquito free all summer and is kind to the beautiful nature we live in. They updated my system with more water efficient products, I thought they did a first rate job, they are professional in every way with fair rates. Excellent. We’ve had no problem with the system since installation. The service is timely, consistent and comparatively reasonable. Brian was ahead of schedule and called to see if it was OK to come early, he efficiently performed spring activation and repairs. I have used Winchel Irrigation for 4 years they are always prompt with reasonable prices. Where quality, experience and technology come together. Copyright © Winchel Irrigation. All Rights Reserved.